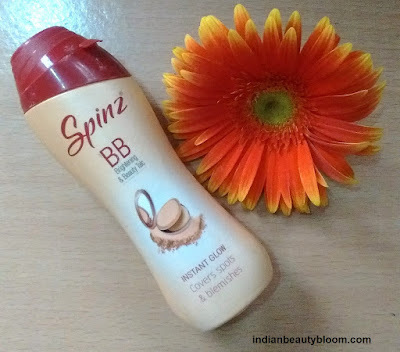 Today I am going to review One more Spinz Product , Last Month I had done review of its Perfume , today I will review it’s BB Talc , so this post is a review of Spinz BB Brightening & Beauty Talc . Spinz is from the famous brand Cavinkare . 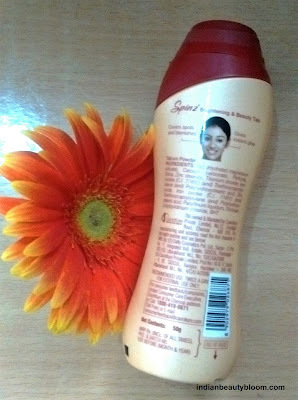 Which is a famous Indian brand and has several popular products in Skin care and Hair care range . This BB Talc is a good product which covers blemishes and gives instant glow to face . 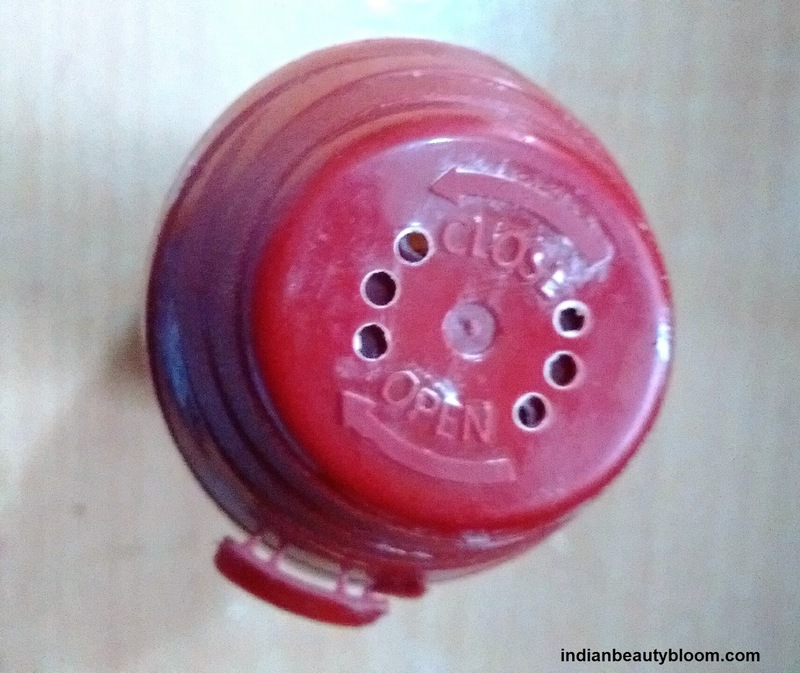 It’s a new product in Indian market and it can be used in place of Compact or Rose Powder . Product packaging is quite simple . The talc comes in a simple plastic bottle , which has a sleek design and is travel friendly . 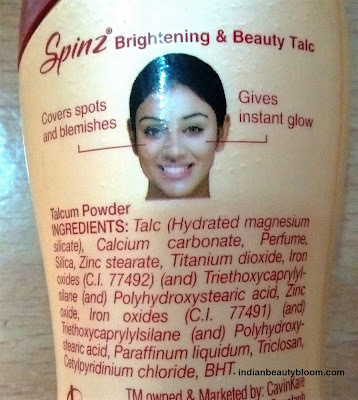 It’s similar to packaging of Talc’s from other brands . 2. Product packaging is good and it’s travel friendly . 4. Product does what it claims , absorbs oil and gives a clean and Matte look . 5. Easily available on Online stores . Not a chemical free product. The product claims to cover spots and blemishes and give instant glow . 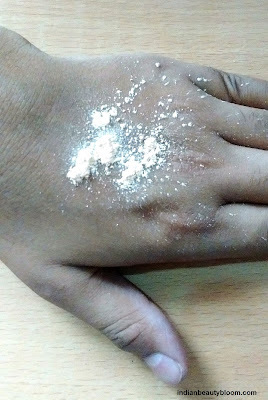 I am using this Talc past few days . It can be used in place of Compact or Rose Powder . It absorbs Oil & Sweat from face and gives a Clean and matte look . Makes the skin look fresh and bright . Staying power is 2-3 hours after which one needs to reapply it . The color of this Talc is similar to the ones of Rose powder . One can buy this product from online stores like Amazon.in .